Rate this Article Bella Sara is a beautiful game full of magical horses and lots of fun, in this article we will see if there are any similar games. Bella Sara is a beautiful game full of magical horses that we can all enjoy. But there are also a few other games that let you bask in the glory of these amazing creatures, and in this article we will highlight a few of our favorite games like Bella Sara for you, take a peek and see what we have. With a title like Wizard101 it is hard to imagine a game without magic. And there is plenty of it, alongside a huge range of magical horses too. From Unicorns to Pegasi and everything in between this beautiful games lets you ride around and discover amazing places from the back of your own stable full of creatures. There are also many other mounts for you including dragons and tigers too. Step into this amazing world and discover a fun game full of wonder. Club Pony Pals is a more realistic take on horses, more specifically ponies. Set in the storied world of Jeanne Betancourt you become one of the characters in this much loved setting. Pick your pony and ride around the world discovering fun games and making friends. Find quests that will give you rewards and most of all just enjoy a relaxing game full of fun. With Star Stable you have some of the most magnificent horses in any game. You can have a huge stable full of many different breeds of horses and take them all out for a ride. With a lot of fun places to explore and a touch of magic to be found there is a huge amount of fun to be had. In this gorgeous world you can lose yourself in the pure joy of horses and it is an amazing feeling. Second Life is like stepping through a mirror and ending up in a world like ours, but with the chance to be and do anything you want. Be rich and have your own ranch full of beautiful horses, even create your own and then sell them to other players. Here the only limit to the game is your imagination and what you goals you set yourself. 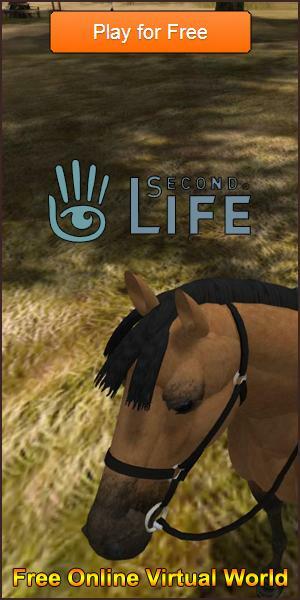 In A Virtual Horse you are able to enter a brilliant 3D world where the horses take center stage. Here you can build a stable full of horses, breed them and trade with other players. You can even make your own brand designs so that every horse is marked as yours. Enjoy lots of fun mini games with prizes to be won or earn money through working with horses so you can improve your own stables too. And there we have it, a few choices for you to take a sneak peek at. If you wish to see more you can visit our Games Like Bella Sara page and discover many more amazing and fun games for you to try. We hope that you find something you enjoy here and that you have a lot of fun no matter what you play.